Let’s start by talking about the purpose of 96boards and how it all began. 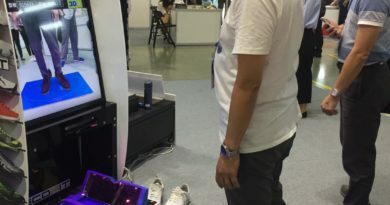 During Jun 2010 Computex, ARM has named Linaro its open source project, hoping to accelerate ARM software development with software such as linux operating system (Linux86framework), GCC compiler system, battery management and multimedia interface. These software are now widely used by different ARM chipset such as TI and Freescale as long as it uses architecture above ARMv7a, v8. Now that software is available for different ARM chipset, 96boards was introduced in 2015 to serve specifically to low cost system board using 32-bits and 64-bits architecture using software developed for Linaro. Similar to Linaro, 96boards has gained recognition and is being adopted by ARM chipset vendor such as Qualcomm, TI, STMicro, MediaTek, Hisilicon, Action, etc. Simply put, Linaro is intended to create software for all ARM chipset, while 96boards is designed to serve all ARM chipset by offering cheap boards. There are currently 2 editions of 96boards available, one is the consumer edition used for robots, kiosk, display related application, and enterprise edition focusing more towards web, server, electronic hobbyist and makers. 96boards’ primary product is the consumer edition with enterprise edition breaking down to standard version and MicroATX version. The company strives to keep cost low, the consumer edition is set between $50-100 usd offering the most basic specification and the enterprise edition is set between $199-300. 96boards is trying to offer cheap solutions by making it globally accessible through channels and distribution such as Amazon, Alibaba, Farnell, Digikey and Mouser. As of July 2017, these are the development boards available. Despite all the different kinds of boards out there, most boards share the same dimension, holes locations and connectors. So a consumer edition board can actually be used interchangeably with other consumer edition board but not cross use with the enterprise edition. The board might have the same dimension but problems such as power consumption and heating problems are factors to pay attention to. Both consumer and enterprise board use software developed by Linaro. In addition to these 2 boards, 96boards offers mezzanine products to expand consumer edition and enterprise edition with new functions and features in sensor learning, panel functions and IOT applications. It also offers accessories like power adapter, USB ethernet adapter and debug devices. With mezzanine and accessory products available 96boards encourages users to experiment with new hardware project such developing casing for 96boards or software project like modifying Android operating system CyanogenMod to work on 96boards, etc. Hopefully you now have a better understanding of the origin of 96boards as well as its purpose and its future outlook. Lastly, let’s talk about 96boards licensing. 96boards adopts CC By 4.0 license meaning it is designed to be open source but it tends to favor the business side by giving the circuit board manufacturer the option to keep its circuit board layout disclosed despite encouragement from the official to keep things open sourced. Similarly, 96boards does not restrict people to use open source code, to some extend allowing binary code and the options to not offer open source code as long as certain things are kept open such as bootloader. As you can see Linaro and 96boards aim to standardize ARM related software and hardware, hoping one day to be become mainstream and adopted by all ARM chipset. 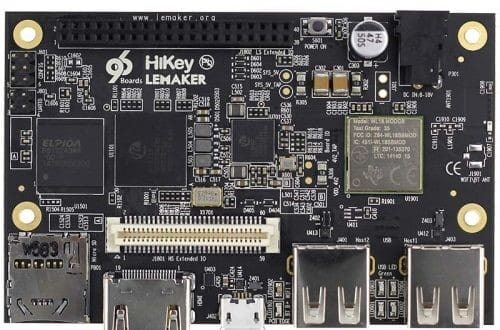 Even though the majority of its attention is on open source software it has high ambition to make profit, offering Makers another low cost option besides Raspberry Pi. As of now, Raspberry Pi developed in 2012 is far more ahead of 96boards in both sales volume and cost advantages, but 96boards is developed by the union of many chipset vendors unlike Raspberry Pi which only uses Broadcom chipset. Will 96boards surpass raspberry Pi in the future? Let us wait and see.